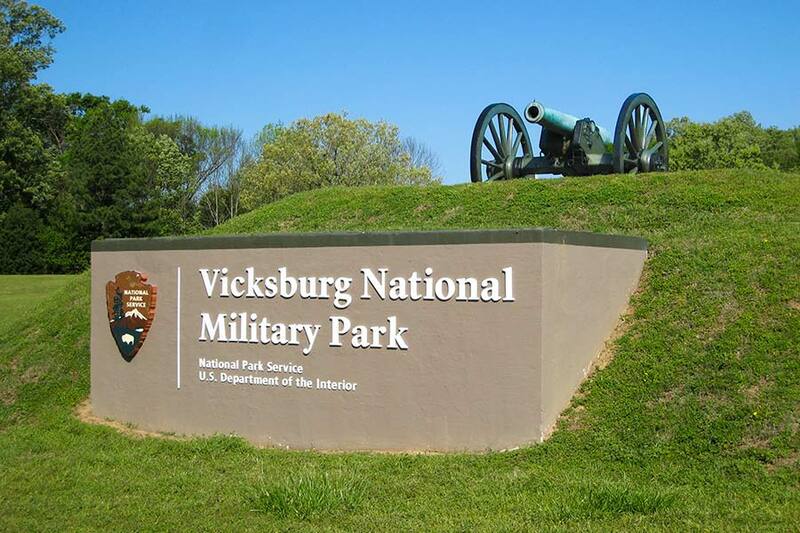 Our Natchez Trace tour offers the best of the antebellum South traditional hospitality, early American history, and distinctive architecture. Magnolia trees and moss-draped oaks add a charming flavor to quiet country roads. 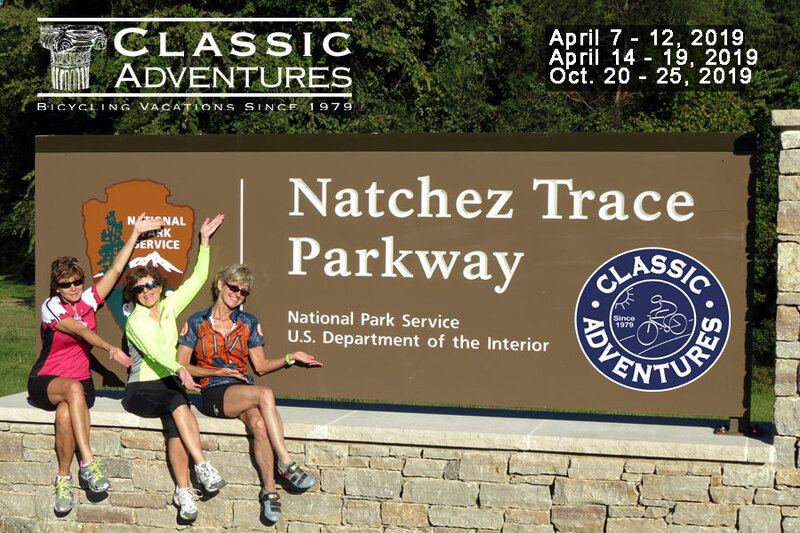 Classic Adventures enjoys the distinction of being the original: the first bicycle touring company to offer the Natchez Trace tour. 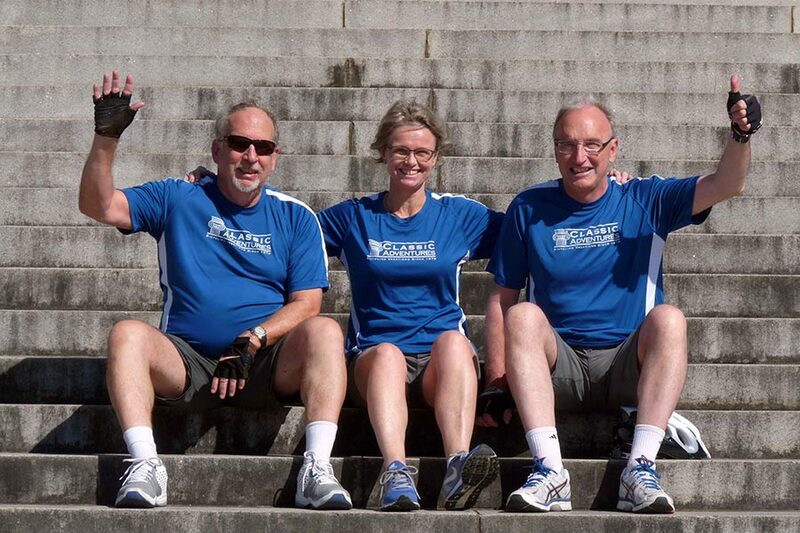 In its 32nd consecutive season, this tour offers incredible, unmatched value, in terms of lodging, dining, itinerary, experienced guides, and customer service. Dale Hart set out in 1985 to research this exciting new destination. Today we rank it among one of our best offerings. We invite you to call for a detailed price comparison and description of our lodging and restaurants. If experience counts, then our guides 30 years of expertise and historical knowledge cannot be surpassed. Not only will we visit many classic mansions, we'll lodge in several. Our lodging accents Southern splendors at The Fairview Inn or Old Capitol Inn (Jackson), Anchuca Mansion or Baer House Mansion (Vicksburg), and the acclaimed Dunleith Mansion & The Castle Restaurant (Natchez), truly a showpiece of the South. Gourmet specialties such as sweet potato pie, Cajun catfish, and mint juleps offer sweet rewards at day's end. 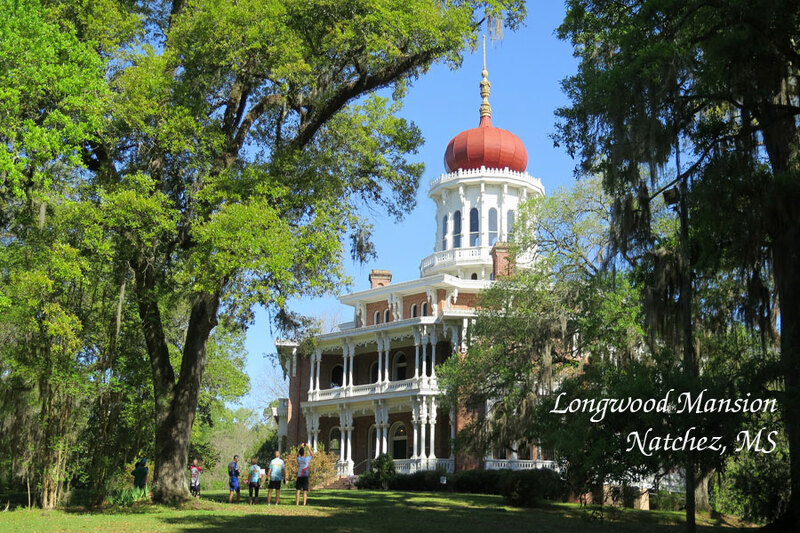 A tour of Longwood Mansion and poignant accounts of the Civil War give pause to appreciate our nation's heritage. 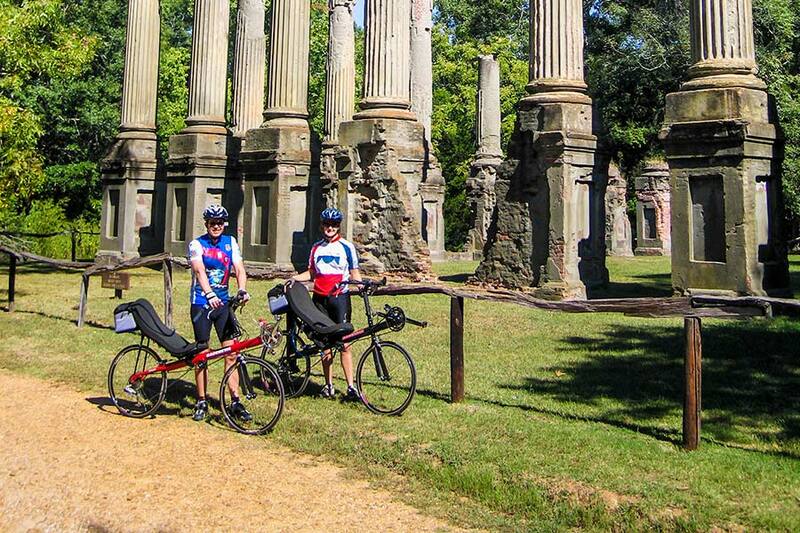 Much of our cycling winds along the Natchez Trace Parkway, a gentle, park-like route which abounds in cultural and scenic delights. Enjoy a short walk on the old sunken trace, the footpath where travelers journeyed north toward home. 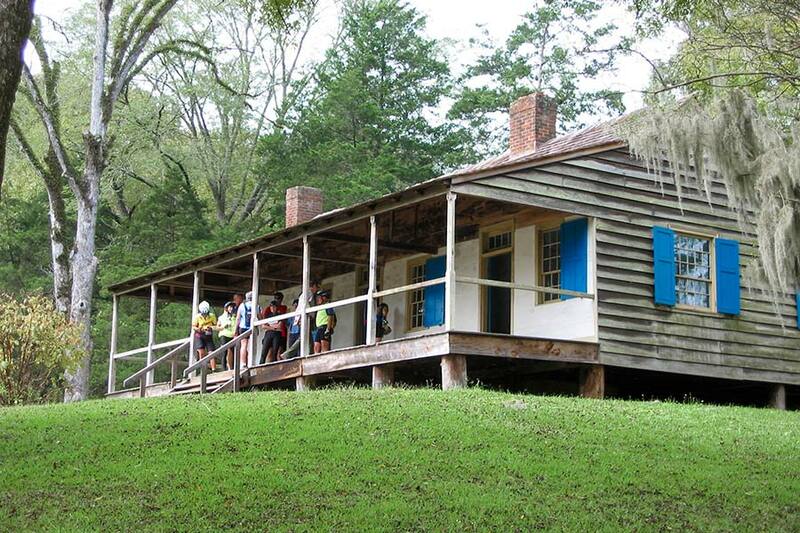 Visit Mount Locust, an old tavern/inn that provided simple lodging for weary Trace travelers in the 1800's. Off the parkway, gentle country roads include stops at Windsor Ruins, Rocky Springs, and the mysterious Emerald Mound (Indian burial ground). Afternoon transfer from Evers International Airport (Jackson, MS) airport to our hotel in downtown Jackson. Bike fitting, orientation, wine reception, followed by an exquisite welcome dinner. Lodging: Old Capitol Inn Jackson. En route to Natchez, stop at Mount Locust, a restored historic inn/hotel. Stop at Coles Creek, which adds a scenic backdrop for a leisurely picnic lunch on the Trace. In Natchez, lodge at Dunleith Mansion and marvel at this architectural treasure. 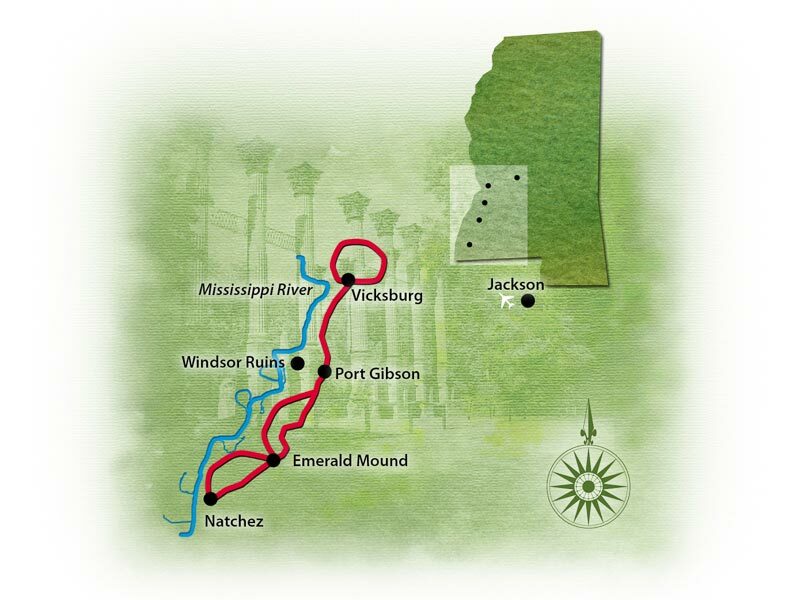 (31 or 44 miles) Take an evening horse-drawn carriage ride or saunter down to Natchez Under The Hill.Dinner on your own tonight. Morning transfer to Jackson airport or first inn for your return home. (arrival to Jackson by 11:30 AM) If you are flying out immediately after the tour, book your flight for after 12:15 PM.